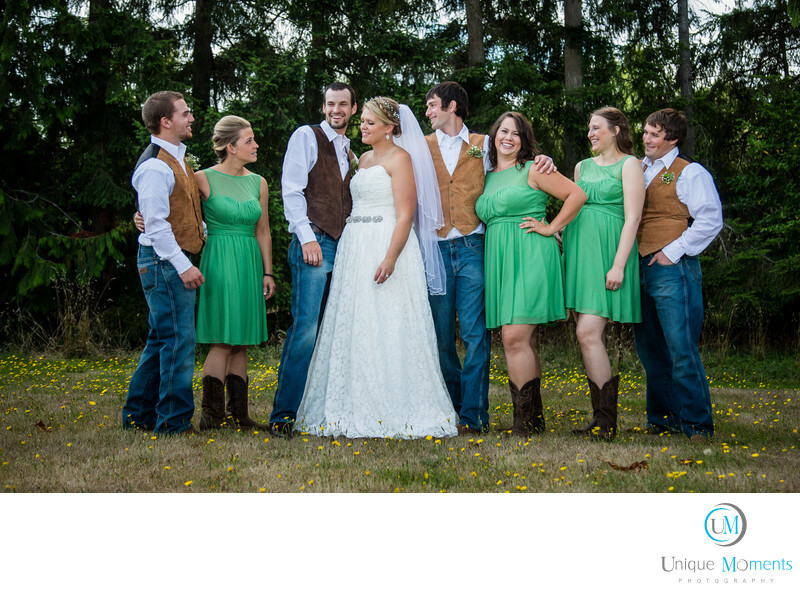 Unique Moments Photography of Gig Harbor Washington Captured this image while the bridal party was getting ready for formals. Candids are always fun images. Sometimes the interactions of the bridal are as good as than the formal. Unique Moments Photography has 2 photographers present at most weddings and Someone is usually capturing candids. We often hear things like, When did you take that? If its interesting and it tells a story we will probably want a picture of it. Location: 9407 234th Ave E. Buckley, WA 98321 .